The Lopifit is an electric assisted treadmill and bike combined – an innovative way of moving and exercising. It was invented in the bicycle capital of the world – The Netherlands. The objective was to enjoy the outdoors while exercising (not in the gym). Lopifit offers excellent low physical impact, high cardio exercise while you commute – with the breeze in your hair and the sun on your face. The bike has a built in 350W Samsung lithium-Ion battery, which turns the treadmill while you walk, and can last up to 60 miles per charge. This makes the Lopifit a viable green alternative for your daily commute. The display has a bar, which shows you the status of the battery. Lopifit features adjustable multi-speed gears. The rider can choose the gear speed they want – from 4 to 17 MPH. The bike has high quality robust powder coated steel frame made from sustainable material with usage comfort in mind. In addition, you can personalize your Lopifit – it is available in six different colors (Black, Royal Blue, Orange, Fire Engine Red, Silver, and White). 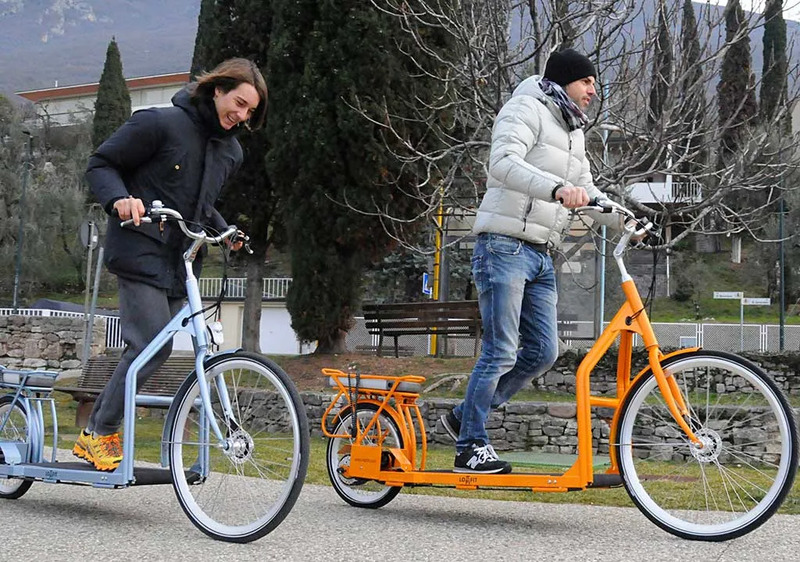 Like other bicycles, Lopifit requires minimal space for parking. It is easy to maneuver through heavy city traffic, tourist destinations etc. Moreover, it makes traveling fun while you enjoy the outdoors. There is increasing demand for sustainable, environment friendly, healthy and economic transportation solutions. That is the reason why the number of e-bike commuters around the world is growing rapidly on an annual basis. But what about riders who cannot pedal for some reason – joint issues or other ailments preventing them from riding a bike? Very nice and the price? Looks good. I live in the UK please give total costs to reach me here.